When you think of Pixar films, one of your first thoughts is likely about much they've made you cry. Up, Toy Story, Brave--I've lost track of the amount of tears and snot I've wiped away with tissues because of Pixar. Their stories have strong roots in the realm of emotion, and Disneyland Resort will be tapping into the heart of the beloved animated films soon with Pixar Fest--and you probably won't need tissues for this event. 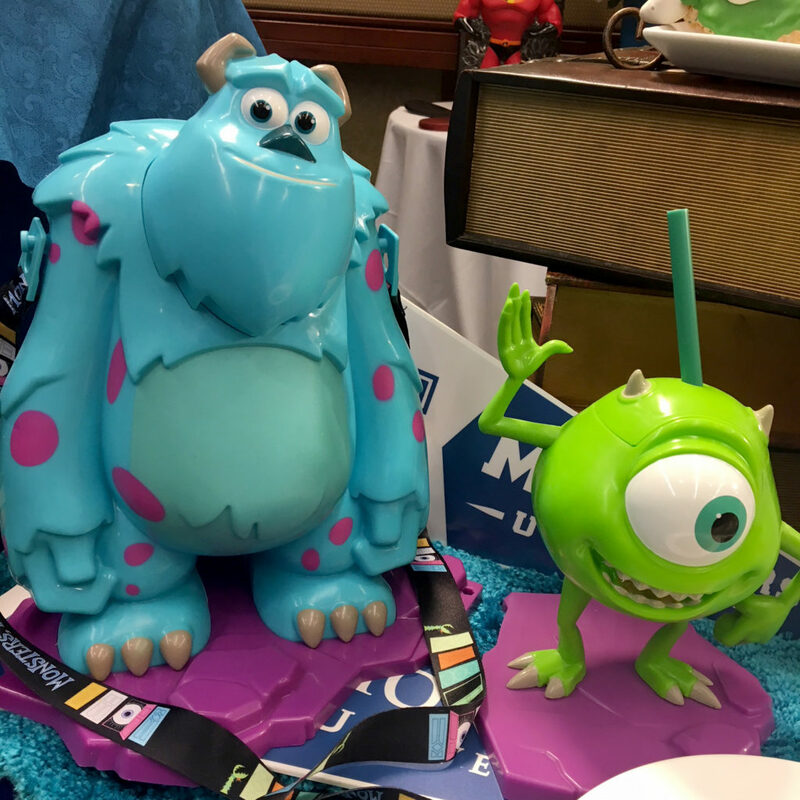 The celebration happening in Disneyland and Disney California Adventure (DCA) from April 13-September 3 features themed entertainment, merchandise, and food and is built around the extraordinary friendships in Pixar movies. Roger Gould, creative director for theme parks at Pixar Animation Studios, touched on that while discussing Pixar's relationship with Walt Disney Imagineering. "I think the films really are about an emotional story. We go on an emotional journey with our characters," he said. "Our films are really about these characters having some adversity, finding some challenge they have to overcome, but finding an inner strength, often through friendship and teamwork. That's the foundational thing." And that foundation shines through in the new fireworks show for Pixar Fest, "Together Forever – A Pixar Nighttime Spectacular." A preview of Together Forever showcased a synchronized marriage of fireworks and projection mapping (on Sleeping Beauty's Castle, Rivers of America, Main Street U.S.A., and it's a small world) and a narrative focused on characters meeting, falling in like, and going on adventures together. Wall-E, Toy Story, Coco, and more have prominent roles in the fireworks, but you'll see many of your favorite Pixar characters. The house from Up and one other character (I don't want to spoil it!) fly through the night sky. To accompany the entertainment and troves of Pixar merch, Disneyland Resort is offering a number of thoughtful themed food items for Pixar Fest, including plenty of snacks that seem made for Instagram (confession: I have a Disney food Instagram). Let's break them down by film. Yes, that is a cute little baby Dory cake pop. Yes, you could pretend it's swimming around and speaking whale. You'll find this in bakeries around the parks, and you can also get Nemo and Dory light-up tumblers. Mike Wazowski is the star of the Monsters, Inc. line up; he's a souvenir sipper, a krispy treat, and sourdough bread. Sulley isn't pushed to the side though. In addition to his very own popcorn bucket (ported over from Hong Kong Disneyland, like the sipper), Sulley is the inspiration for the coolest item on the whole Pixar Fest menu: color-changing chilled noodles! They're blue until you squeeze lime juice onto them and add the vinaigrette, and then they turn purple. You can get them at Lucky Fortune Cookery in DCA. Imagine what Carl Fredricksen would eat. That's what you'll find in the way of Up food at Carnation Cafe; they'll be serving a Fredricksen TV dinner and “fried-ricksen” bologna sandwich (that the chef swears is the most amazing bologna you've ever had). And because flavored churros are all the rage, you can get the Snipe, a fruity churro with lemon sugar. Jolly Holiday Bakery will have a couple of Up-themed treats, too, like a homemade Pop-Tart. Head to Frontierland for a souvenir Coco mug and another dressed up churro. The Coco churro is coated with chocolate powder and a vanilla bean salted cinnamon sugar; to complete your spiral into decadence, this one's served with a spiced Mexican chocolate dipping sauce. Toy Story wins with the best name for a drink: Boot Beer. It's a root bear float served in Woody's boot. You can put down your toys and snack on a Lots-O straw-bear-y funnel cake (or straw-bear-y pink churros) or Jessie's berry jubilee funnel cake. On the savory side, Pizza Port will have slices of pepperoni planet pizza and super nova cheeseburger pizza, as well as a delicious green star pesto pasta that has a little kick of spice and a complex flavor profile with a pesto made from herbs and miso. As far as I'm concerned, the winner for this film is the alien macaron with a Meyer lemon blackberry filling. It's sweet but not in an overpowering way. Ratatouille food is a must, right? Cafe Orleans will offer a three course dinner tribute to the little chef with a charcuterie plate, shrimp ratatouille, and berry stuffed beignets with a mascarpone ice cream (influenced by Remy's discovery of how well strawberries and cheese go together). The Incredibles 2 corn dog is no ordinary corn dog. It's shapeshifting to celebrate one of Jack-Jack's powers. Cajun chicken sausage surrounds hot link sausage with a pepper jack cheese in the middle. Uh, yum. And you'll have a sweet and spicy blackberry sauce to dip it in. You didn't think they'd leave this out, did you? You can get the Luxo Ball as a cake pop, a candy apple, or a slice of light and tasty cake. Take a ride in Carl's house to the gallery below to see more from Pixar Fest, including The Incredibles float coming to Paint the Night (Disney California Adventure) and the brand new floats for the Pixar Play Parade (Disneyland). Which treats have you drooling? Anything on your must-try list? Let us know in the comments! Take a bite out of more food! Pandora: The World of Avatar's fantastically weird food. The top 50 cereals, ranked. Glass potato chips are a thing.